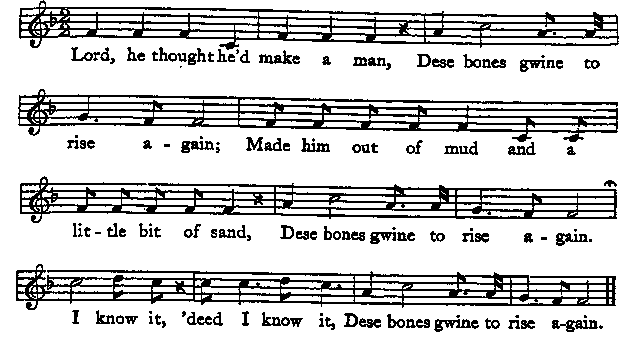 De Lord he thought he'd make a man� Dese bones gwine to rise again j Made him out-a dirt an' a little bit o' sand� Dese bones gwine to rise again. Dese bones gwine to rise again. ♦Words principally from Professor Wauchope of the University of South Carolina; the tune and a few stanzas from Carl Sandburg's American Songbag.